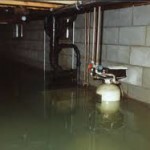 There has been a form of coverage, approved by the New York Insurance Department regarding underground utility coverage. Not all insurance companies have adopted this “endorsement” yet, but in our office 4 companies have. This is coverage from the street connection to your home and/or rental property, covering sewer lines, water lines, gas lines, underground electric and any other utility buried underground. The coverage is for $10,000 and subject to whatever deductible you carry. To give you some perspective, Buffalo Water offers water line only coverage for $4.00 per month or $48 for the year. This new underground utility coverage is $20 per year for most companies, one is at $25 per year. So you can see the endorsement being offered is a better deal than the water department in the city of Buffalo. Not sure how the suburbs addresses the water line coverage, as they are part of Erie County water and not Buffalo. If you are a landlord in the city of Buffalo, you be a very wise property owner to add this coverage on, since our housing stock is very old. The piping underground here is antiquated and ready to collapse at a moments notice. Rust, wear-n-tear, collapse are all covered perils for this new coverage. Call our office 716.684.3203 if you’d like to review your landlord policy and add on this very important coverage. Need to cover Underground Utility? GO HERE NOW!